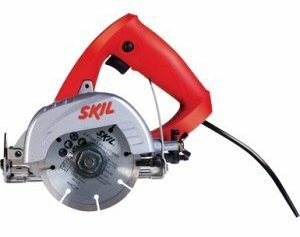 For additional Information concerning Skil Circular Saw : Click Here! Weighing in a little under 5 kg (4.9 kg) and 38.1 cm in length, the Skil Circular saw sold on Autocon is both light and compact for better handling compared to the traditional one. It is powered by a 15 amp motor and worm drive gears for a strong performance. The lighter magnesium construction ensures that you do not get weary too soon. To ensure efficiency, the Cut Ready technology incorporated into this electric saw achieves both accurate and quick depth measurements. Another striking feature is the 53* bevel which gives users the options of a wide variety of cuts. Also, keeping in mind the comfort factor, the main handle is contoured to make it both user-friendly and easy to control. The spindle lock is made more easily accessible for quick and easy blade changes. 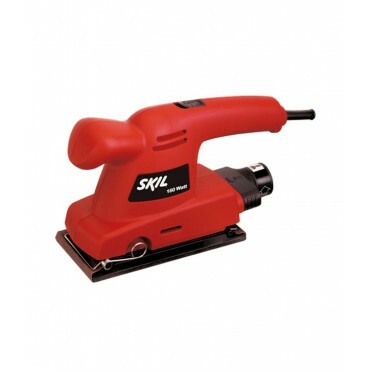 Saving you time and energy, the Skil motor saw finishes tasks in a jiffy that otherwise require long hours. The circular saw guarantees both accuracy and safety even if you aren't a professional. Two major safety features are the integrated saw hook for safe rafter placement and the anti-snag lower guard for small cut-offs. 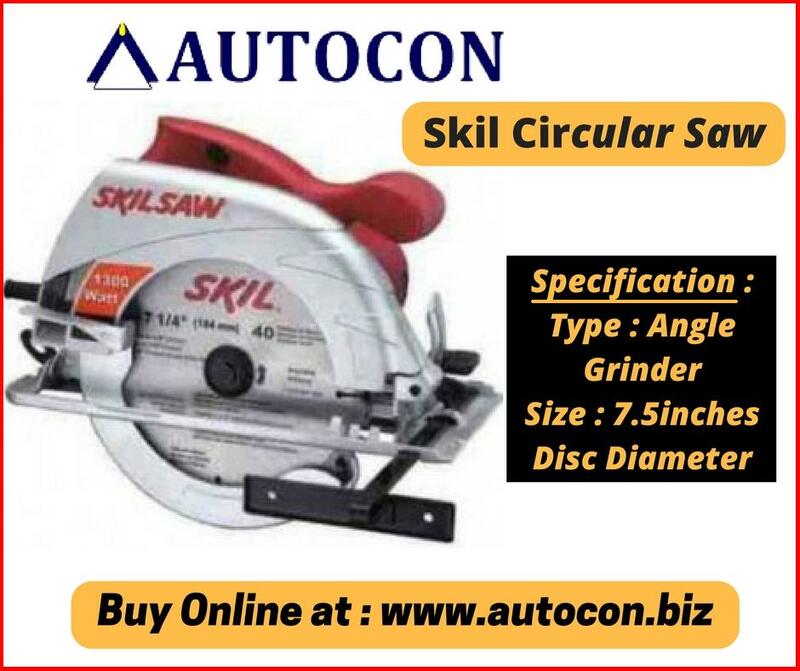 Almost anyone can use the Skil Circular saw; whether it is an experienced carpenter or if you are a young hobbyist who wants to experiment. With the traditional saw, there is immense pressure exerted on the wrists, forearms and shoulders and back, and the Skil saw spares you the intense pain. Today they can satisfactorily claim that they live and continue to develop this vision every day. Over the last several years C&S has been associated with introduction of the newest technologies in the field of power management solutions in India – and it is this culture of innovation and excellence that has made them amongst the most trusted and preferred brands in their field both in India and globally. Their ability to be close to their customers and be flexible to their requirements is what has allowed them to punch above their size, despite operating in a market dominated by global giants. 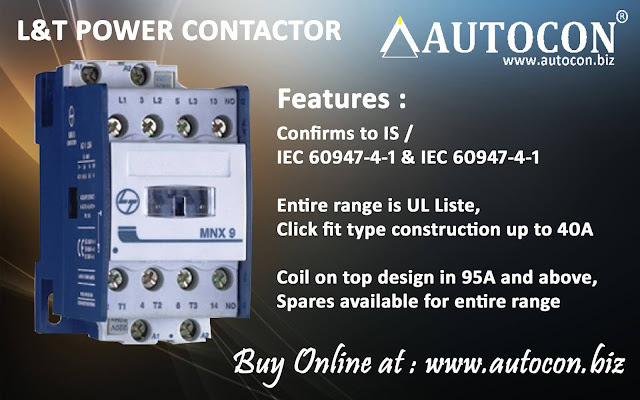 Contractors : RobusTa Contractors & Overload Relays, Robusta2 Contactors, Mini Contactor, 2 Pole & 4 Pole Contactors, D-Range Contactors , exceeD Contactors, Capacitor Duty Contractors, Definite Purpose Contactors. For additional Information concerning Skil 6513JD 13mm Impact Drill machine with 16 Pcs Bits Set : Click Here! 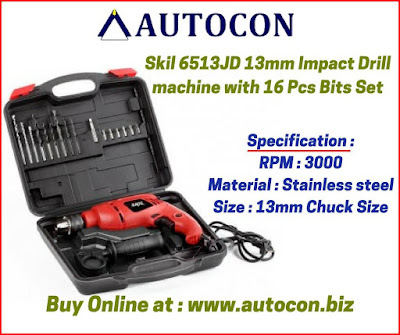 This Skil cordless impact drill is efficient. 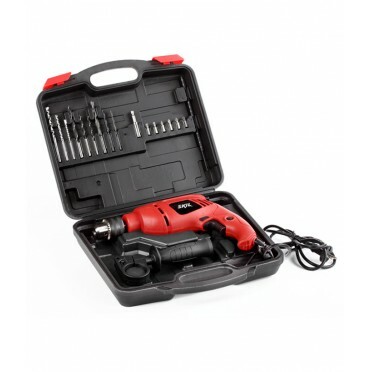 Equipped with a 550W motor, the drill is powerful and can be used for various drilling purposes. The drill has a rated no-load speed of 3000rpm and produces a 48000 bpm maximum impact rate. The maximum drilling capacity of the drill is 35 mm on wooden surface, 16 mm on concrete surface and 13 mm on steel. The Skil 6513JD also carries other accessories like a chuck key, a depth gauge, a side handle and 16 drill bits. It is provided with a 6-month warranty as well. BCH has two state-of-the-art manufacturing locations at Faridabad and Rudrapur employing modern manufacturing techniques, quality assurance systems and well-equipped design, tool room and R&D facilities. 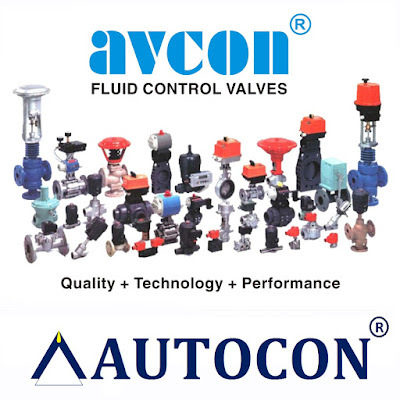 'AVCON' is known all over continents, as a manufacturer of 'Quality' products-Solenoid Valves, Ball and Butterfly Valves with Pneumatic and Electric Actuators, Gas Control and Regulation Products, also valves for Pharma & Bio-Tech Industry. 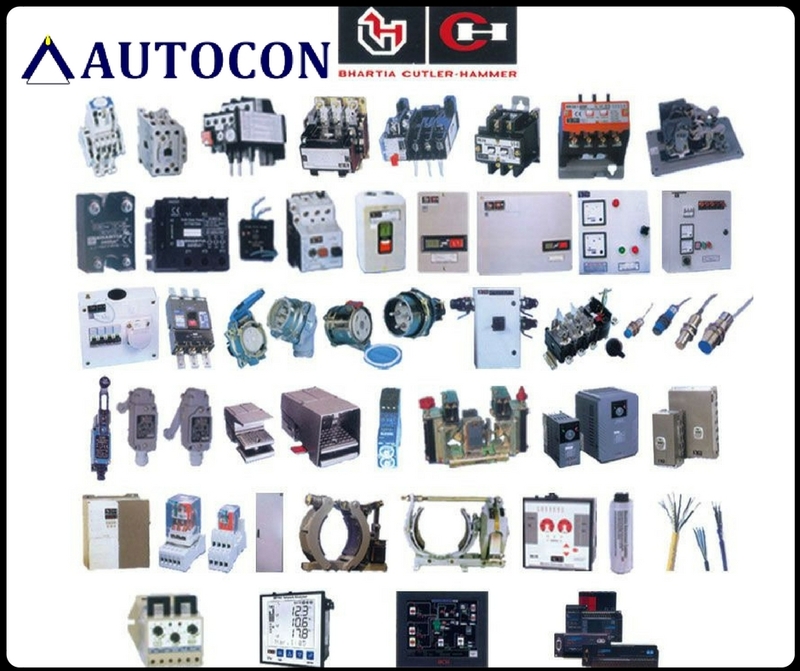 AVCON has walked through several years, gaining valuable experience, offering AVCON equipments in the products manufactured by the OEMs, in all spheres of engineering.AVCON products have gained reputation with Consultants and approvals of Users,OEMs, and others, as Quality products. Being ISO 9001 certified company, has put AVCON on forefront. Avcon motto is 'Value for the Money' and 'Superior Product, One Among the Best in the World'. 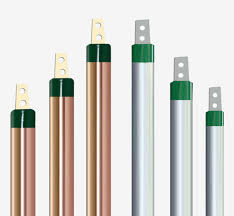 They have very sure that, there is a product in vast range of AVCON, which will meet your expectation and requirements. To cater and serve growing demand of “Weir type Diaphragm Seated Valves & Pneumatic operated Angled Seat Valves” in Pharma, Biotech & Food Industries, AVCON manufactures and market Diaphragm Seated Valves including range of Top Work ( Manual, Pneumatic & Electrical Actuators ) with range of End Connections & US FDA Approved Diaphragms for CIP, SIP, Fermentors, Autoclave, Bio-reactors, Pure Steam Generators etc. applications. 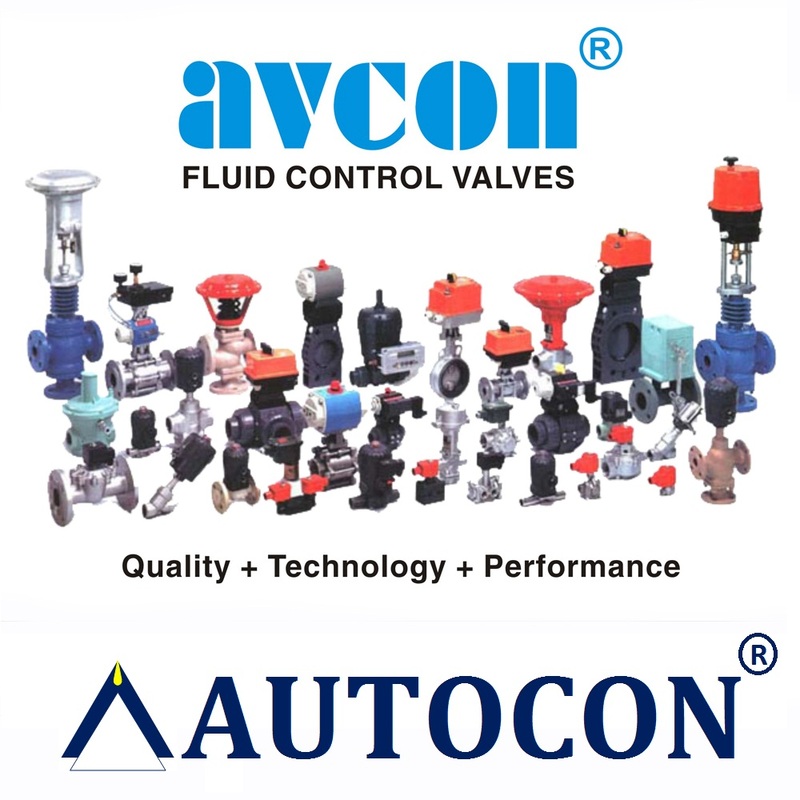 For various applications including Pollution Control Equipments and for process and utility lines, AVCON offers wide range of Solenoid Valves and range of Pneumatic operated Valves with Sizes, End Connections & Body Material, which helps to increase the efficiency of the plant. Solenoid Valve, R Star Series, Gas Products, Ball Valves, Butterfly Valves, Pneumatic On/Off Valves, Pharma & Diaphragm Seated Valves, Control Valves, Actuators, Angle Seated Valve, Switch Boxes, Test Valve. 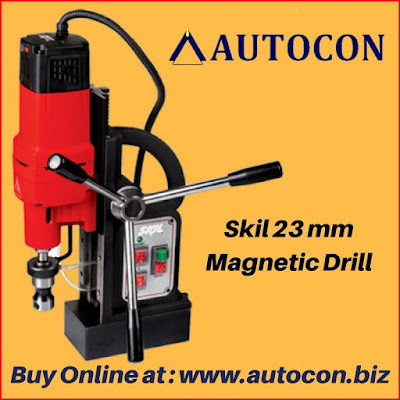 For additional Information concerning Skil 23 mm Magnetic Drill : Click Here! Established in 1977, Autonics Corporation is the leading manufacturer and exporter of sensors, controllers, and measuring instruments in Korea. They produce over 6,000 items which are marketed in over 100 countries, satisfying customer needs in various fields of industrial automation. Autonics goal is to achieve complete customer satisfaction with a wide range of products and reliable services. They maintain continuous R&D efforts and strict quality management policies to ensure success. Also, they are deeply concerned about their environment and adhere to global compliance regulations. They have continue their efforts in order to provide advanced and productive automation solutions to their customers and become a trusted partner in the global automation market. 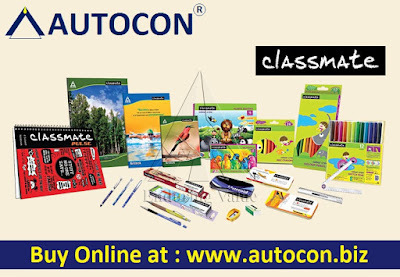 Autonics established a sales office in Mumbai, India in 2006, which was later incorporated in 2010. Autonics India currently operates 5 regional offices and continues to be a key contributor in the Indian automation industry. 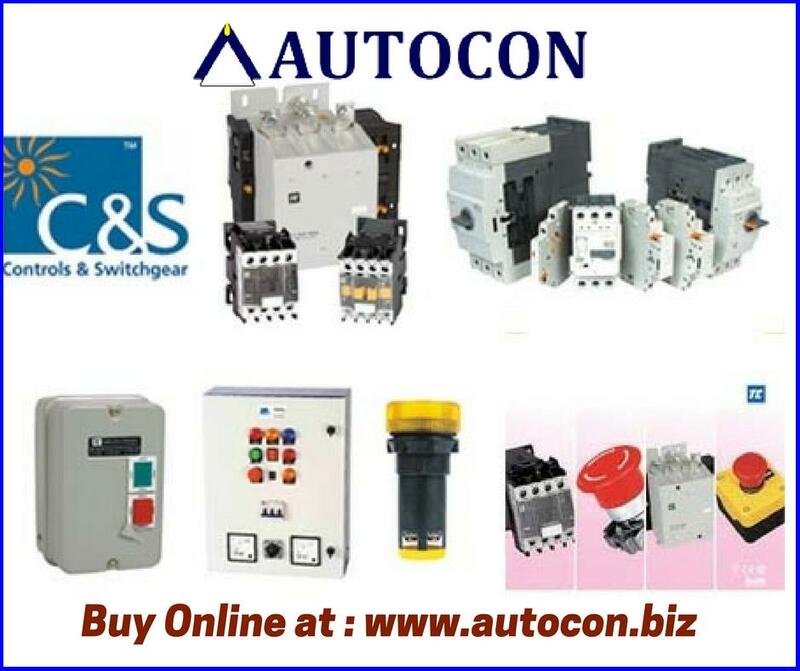 Autonics India promises to continue its effort in providing reliable and economical solutions and enhancing the productivity of their customers. A look back on their 39-year history shows their development process of new & advanced technology and their continued commitment to satisfy customers around the world. Corporate Mission :Autonics, the leading expert of industrial automation products in Korea, provides advanced and productive automation solutions to customers across the globe. Their mission is to enhance the productivity of their customers and contribute to the development of global industries and human welfare. Autonics is dedicated in providing top quality products to their customers. To accomplish their mission they have heavily devoted to R&D and manufacturing. Their dedicated R&D centers in Korea, and their global manufacturing facilities in Korea and China work to make sure they deliver the best products possible. Indicators, Recorders, Controllers, Converters, Pressure Transmitters, Temperature Transmitters, Thyristor Power Controllers, Temperature Controllers, Field Networks, Timer, Panel Meters, Pulse(Rate) Meters, Control Switches, Connectors/Cables, Motion Devices, Sensors. 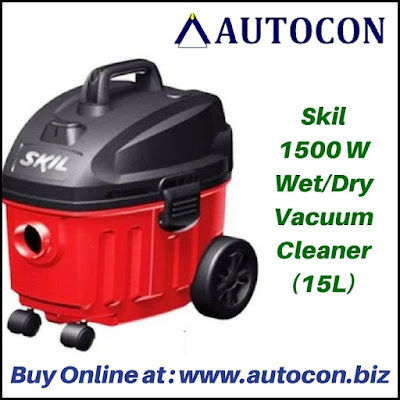 For additional Information concerning Skil 1500 W Wet/Dry Vacuum Cleaner (15L) : Click Here! Easy to move (compact, lightweight). 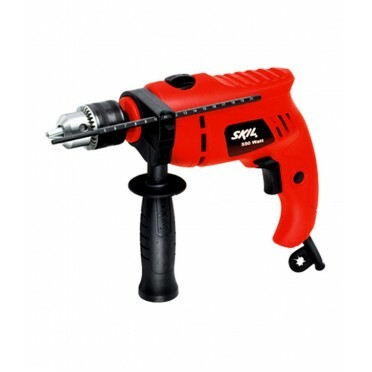 Durable, reliable and repairable power tools that get the job done. For additional Information concerning Taparia Double Sided Open End Wrench Set (pack of 12)-DEP12N : Click Here! TAPARIA Tools started manufacturing hand tools in 1969 in India in technical collaboration with a reputed company by the name of Bahco of Sweden. The company has a well laid out fully equipped factory located at Nashik, which is about four hours drive from the city of Mumbai in Western India and another expanded unit at Goa, approx 600 kilometers from Mumbai. All the manufacturing facilities required for production of hand tools are under one roof-one location. Hand tools manufacturing is complicated involving high technology and labor intensive production process. The Company has a design and development department with latest CAD design facilities where all the designs of products and modifications there of and also fixtures and toolings are made. This includes the designs of forging-dies, machining fixtures, cutting tools like broaches, etc.Taparia's range is quite wide and is continually expanding. The quality, the features, the looks, the packings etc., of tools is continually improved. The Company has received award for export excellence. The company keeps abreast of all the latest developments in the hand tools industry by continuously participating in International Fairs and events in Europe, U S A etc. For nearly four decades, APC has been the industry-standard for reliable power and physical IT infrastructure. Now the leading name in IT departments large and small and among their vast community of channel partners, their history of innovation has pushed their products into the global spotlight with infrastructure, management, and data security solutions protecting organisations around the world. Incorporated in 1981, the American Power Conversion Corporation was established with a focus on research and development into solar electricity. Formed by three electronic power engineers from MIT, APC then opened a Rhode Island-based manufacturing facility in 1986; the company also produced its first UPS that year, the 450AT+, which received a PC Magazine 'Editor's Choice’ award. In 1988, APC stock was made available for public trade. 1989 brought the introduction of the award-winning PowerChute software which revolutionised power management, as well as product sales through two major distributors, Tech Data and Ingram Micro. In 1990, APC continued to introduce superior products such as the Smart-UPS® line, now recognised as the industry's premier network power protection solution. That same year President and CEO, Rodger B. Dowdell, Jr., was named New England ‘Entrepreneur of the Year’ by Inc. Magazine. 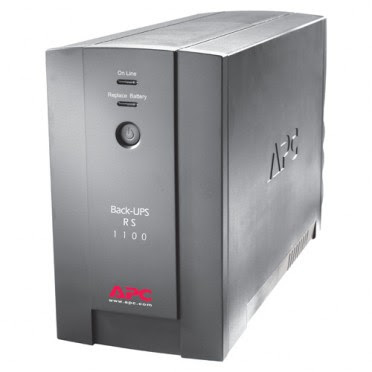 Throughout the 1990s, APC entered other markets with 155 new products such as SurgeArrest surge protectors, Matrix-UPS, the industry's first modular UPS, a new generation of Smart-UPS, the company's first Back-UPS Pro models, and the Symmetra Power Array which revolutionised the industry with redundancy, scalability and serviceability in a single solution. These product developments, the opening of two international manufacturing facilities (Galway, Ireland in 1994 and the Philippines in 1996), as well as the acquisition of Systems Enhancement Corp. and Silcon A/S, drove APC's annual revenue above the $1 billion milestone in 1998. APC entered the residential tech market in 1999 with PowerShield, a solution for the growing broadband needs of cable and fixed wireless applications in homes. The company then launched into the new millennium with three strategic acquisitions which opened the DC-power market for communications equipment, the cable and connectivity market for home and business IT applications, and the precision cooling market for data centres and communications equipment. After acquiring ARRIS in 2001, APC further expanded its broadband networking power capabilities. In 2002, APC introduced PowerStruXure, its first piece of network-critical physical infrastructure (NCPI) architecture, which revolutionised data centre power management. That same year, the company was named in the NASDAQ-100 Index, a list of the 100 largest non-financial stocks on the market. In 2003, InfraStruXure debuted. It integrated power, cooling, racks, management and service into an open, adaptable and integrated solution and won nearly 20 awards worldwide. The TravelPower Case — the world’s first case with built-in device charging abilities — was also introduced with immediate success. The InfraStruXure line was expanded in 2004 with cooling systems and on-site power generation. That same year, APC won more than 100 awards throughout the world for its products and business excellence. Building on the success of PowerStruXure from 2002, APC expanded its overall NCPI offerings after acquiring Netbotz, an early stage tech company that worked to solve the physical security of IT equipment, and allowed APC to extend its industry expertise into the management and security categories. Racks and Accessories : Power, Cooling, Services, Prefbricated Data Center Modules, Security and Environmental Monitoring, Data Center Software, Power Distribution, LCD Monitors and KVM Switches, Rack LCD Consoles, KVM Switches, Ethernet Switches. Mr. Ashish Shah is the Founder and Managing Director of Ambetronics Engineers Pvt. Ltd., a company which he established in the year 1992. It was this Technocrat’s brainchild company, which began as a small unit manufacturing Digital Panel Meters & Digital Gas Detectors & Indicators, but soon expanded its product portfolio to establish itself as a Manufacturer, Supplier and Exporter of electronics equipment in the fields of Human Safety like Gas detection & Monitoring Systems along with other Industrial Process Automation and Integration Systems. Over the years, it has gained admiration and reputation as a most authentic, reliable & ISO 9001:2008 Certified Global Company in the field of Gas Detection Systems, Process Control Instrument Systems, Data Acquisition Software Systems, Cold Chain Storage, Clean Room Monitoring and Vibration Monitoring systems. Their exquisite range of products are very well recognized in the market for their performance efficiency, attractive functionalities and benchmark specifications. Under the expert guidance, deep knowledge & far sighted approach of Mr. Ashish Shah, Ambetronics has developed its own state-of-the-art infrastructural facilities with smooth inter-departmental functioning. Their various departments include R&D (Research & Development) Department, Quality Management Department, Purchase & Procurement Department, full-fledged Manufacturing unit, Packaging & Dispatch Department, Designing Department, Marketing Department, Customer Service Department, etc. The infrastructural facilities and technologies are upgraded on regular interval of time, so as to be in tune with the latest ongoing market trends. Their infrastructure also includes a Conference Room, Training/Demo Room, Testing Laboratory, Stores & Warehouse, etc. 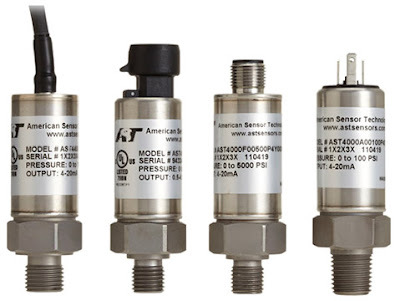 AMBETRONICS has well trained and qualified professionals who specialize in Customer Satisfaction. Headed by the Marketing Manager, this team of professionals is experienced in arranging for product demonstrations, trials, product introduction seminars and customer trainings. Their aim is to give you the best solutions & services possible. They have a well-equipped conference room where theu can give a hands-on demo to their dealers and suppliers, as well as customers. Of course, they are ever-ready to do the needful in your own premises as well. “Ambetronics is committed to design, manufacture and supply the Quality and reliable process control equipments & systems to meet the Customer expectations at competitive price. Final assembly testing. Every instrument undergoes a BURN-IN of 48 hours, which reveals infants mortality, if any. After POST-BURN-IN, a functional check is performed where the instrument is thoroughly checked, a Test-Report is prepared and ‘QC OK” Sticker is affixed to the instrument. Only then, the instrument is permitted to go out of their Factory. Controllers, Indicators, Transmitters, Online Data Loggers & Data Scanners, Stroboscopes & Tachometers, Thermometers & Hygrometers. ABB is a pioneering technology leader that is writing the future of industrial digitalization. For more than four decades, they have been at the forefront, innovating digitally connected and enabled industrial equipment and systems. Every day, they drive efficiency, safety and productivity in utilities, industry, transport and infrastructure globally. With a heritage spanning more than 130 years, ABB operates in more than 100 countries and employs around 136,000 people. ABB is a pioneering technology leader that works closely with utility, industry, transport and infrastructure customers in roughly 100 countries. With more than four decades at the forefront of digital technologies, they are a leader in digitally connected and enabled industrial equipment and systems with an installed base of more than 70,000 control systems connecting 70 million devices. Maintaining their position as one of the world’s leading engineering companies requires technology leadership, global presence, application knowledge and strong local expertise. They create and support a comprehensive range of products, systems and services that increase energy efficiency, reliability and productivity for their industrial, utility and infrastructure customers. ABB Corporate Research serves the entire company and, consequently, its scientists and engineers closely collaborate with R&D within the divisions. This partnership has provided the foundation for many of their pioneering technologies. ABB Corporate Research anchors and grows the core competencies needed to conduct research and development in power and automation products, solutions and services. With locations in seven countries, their corporate research centers bring together an international team of highly skilled scientists. ABB have a vast portfolio of products, systems, services and solutions for customers in a large number of industries. Robotics, Semiconductors, Substation Automation, Protection and Control, Transformers. Offshore Wind Connections, Operations Management Software, Power Consulting. 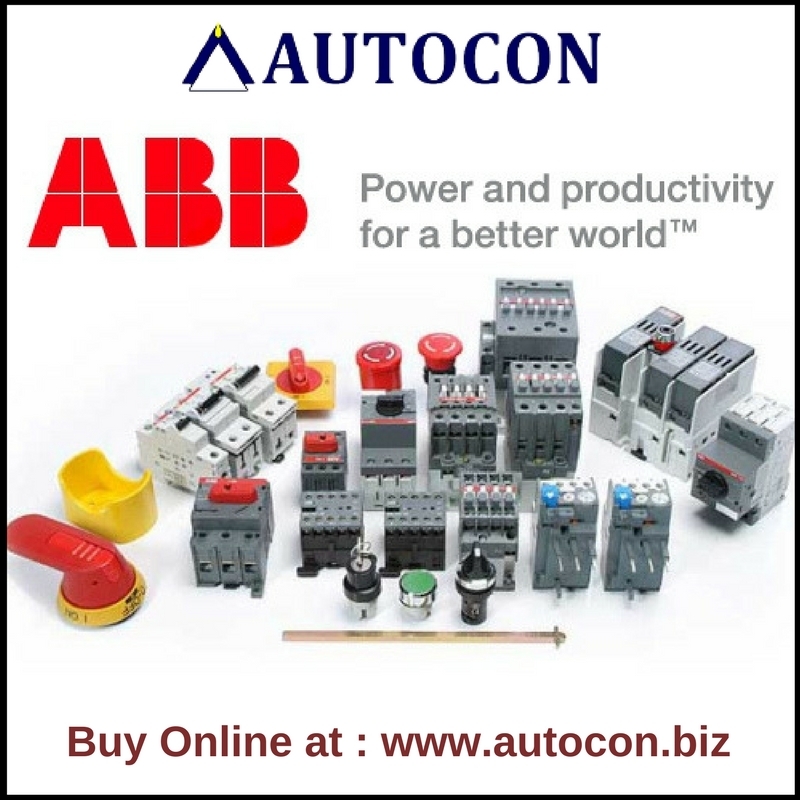 Power Electronics, Safety, Substation Automation, Protection and Control, Substations and Electrification, Turbocharging, UPS and Power Conditioning. 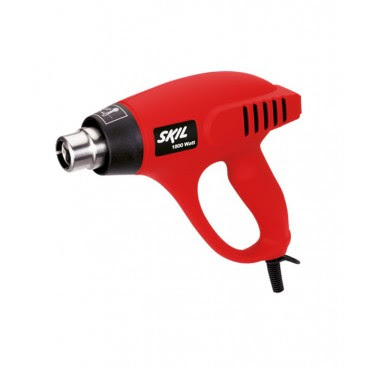 For additional Information concerning Skil (By BOSCH) Hot Air / Heat Gun - 8006 JP - 1800W -3 Speed : Click Here! Powerful 1800W- 3 Blower / Heat Settings. Ceramic core protects the heating element for longer tool life. D.C. low voltage motor for long life time. Established in the year 1965, Airmaster, is distinguished manufacturer and supplier of Pressure, Vacuum & Temperature Gauges. Manufactured using high grade parts, their assortment of gauges is acclaimed across the globe owing to accurate measurement and durability. With the support of their state-of-the-art manufacturing unit equipped with latest machines, they have been able to produce their range effectively. The manufacturing facility is well complemented by their team of professionals that ensure all the assigned tasks are accomplished with the set deadlines. Further, Airmaster company has a separate quality control unit wherein their entire range is tested to ensure they deliver flawless products to their esteemed clients. Owing to the persevering efforts of their committed and hard working team they have been able to provide their clients with quality products. This, coupled with their adherence to timely delivery and ethical business practices has helped them in garnering a huge client base across the globe. Airmaster organization is backed by a team of diligent and hard working professionals that has rich industry experience in their domain. The members of their team are trained and qualified to undertake all the business activities regarding the manufacturing and supplying of Pressure, Vacuum & Temperature Gauges. These professionals regularly attend various workshops ans training sessions that keep them abreast with the latest methodologies and technologies used in their domain. Further, their team also provides training to their respective clients that assists them in using and maintaining of the products offered by them. Thus, with the coordinated efforts of their team, they are able to provide an innovative product range to their clients spread all across the nation. 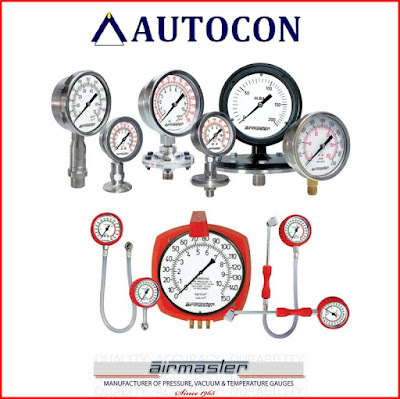 Airmaster are one of the leading manufacturers and suppliers of Pressure, Vacuum & Temperature Gauges. their range includes Tyre Pressure Gauges, Diaphragm Pressure Gauges, Utility Pressure Gauges and Glycerin Filled S.S. Pressure Gauges. In addition to these, they also offer Temperature Gauges, Glass Fiber Cases Gauge and Stainless Steel Cases Gauge. 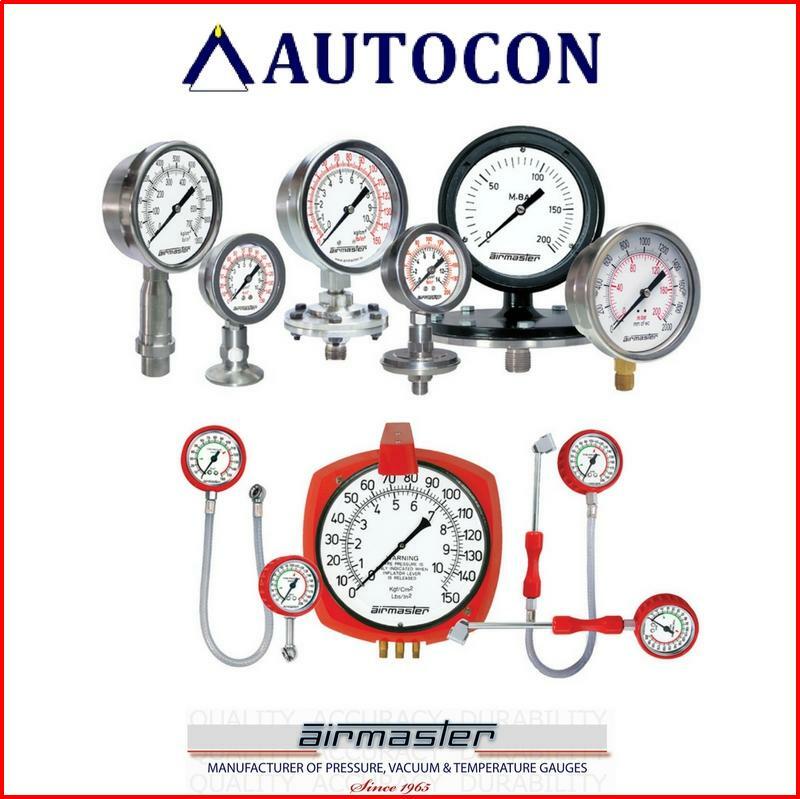 Airmaster manufacture and supply Pressure, Vacuum & Temperature Gauges that are widely demanded in various industries and sectors due to quality features. For additional Information concerning Skil (By BOSCH) Tile / Marble Cutter - 9816 - 5" Capacity : Click Here!